If you want Fun and Laughter , Look no further. 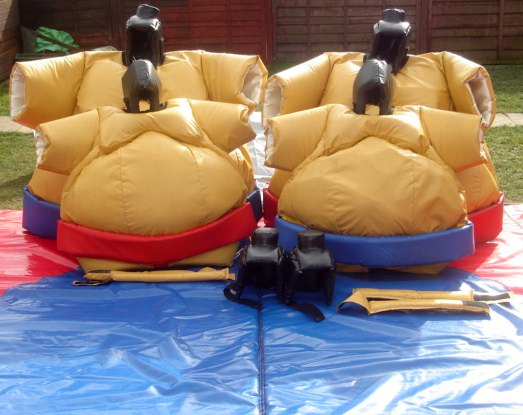 Sumo Suit Hire in Melbourne is all about having Fun at OMG Party Hire! 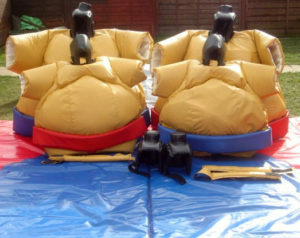 Our Sumo Suits are well designed for easy using suits that are PVC lined and well padded , which also includes Helmets and a Safety padded Mat. Our Sumo Suit Hire is great for all types of events and can be used in any safe area where the safety mat can be placed comfortably . Sumo Suits are usually used for Adults as they range at a height of 1.2mtrs to 1.5mtrs or you can select our kids junior Suits which are 1mtr in height.